A virus is a small infectious agent that replicates inside the cells of other organisms. Examples of common diseases caused by viruses include the common cold, influenza and chickenpox (varicella zoster virus). Once an infection has begun it provokes an immune response from the host that typically eliminates the invading virus – this same immune response can also be generated using “dead” or “deactivated” viruses, which is taken advantage of in vaccination. This article shall discuss basic viral structure, viral replication and how viruses avoid detection by the immune system. Fig 1 – Diagram showing basic viral structure. Viruses can only multiply inside living cells and require a host cell. The host must contain the required machinery to synthesise the viral proteins and nucleic acids. Attachment – The virus becomes attached to the cell by specific cellular receptors which can be glycoproteins, phospholipids or glycolipids. 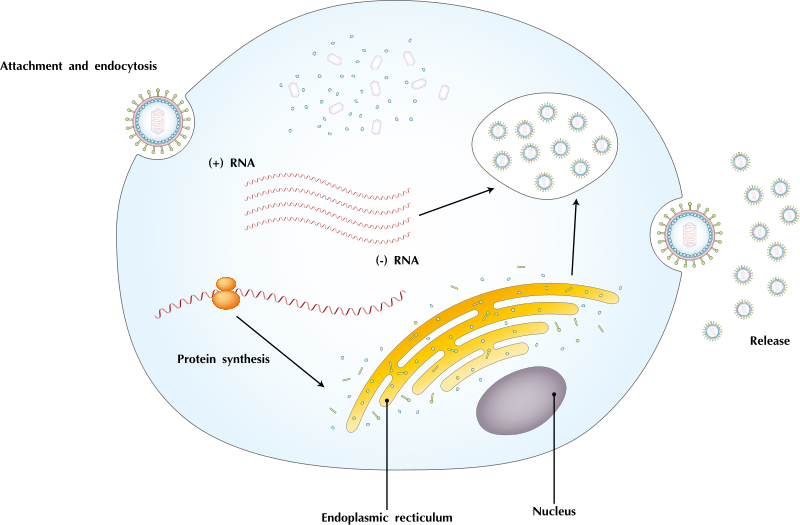 Entry – Following attachment the virus can rapidly penetrate the cell, most commonly via receptor mediated endocytosis. 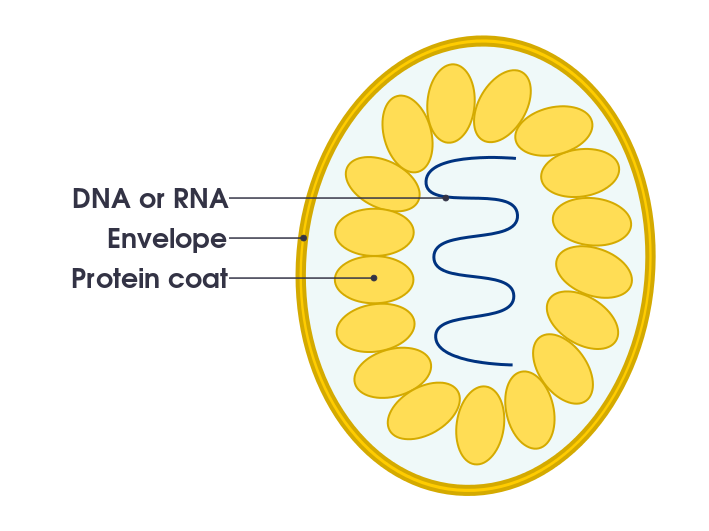 This is the same process by which many hormones enter the cell. Uncoating – There is a low pH of about 5 inside the cell due to the activity of a proton pump present in the membrane, and this leads to rearrangement of the virus coat components. This exposes hidden hydrophobic sites which bind to the lipid bilayer of the membrane allowing extrusion of the viral core into the cytosol. Transcription (viral nucleic acid replication) – Viruses, either DNA or RNA, cause a shift from cellular protein synthesis to viral synthesis and sets of viral protein chains come together. Maturation – Protein chains in the new viral particle are cut by protease enzymes into individual proteins that combine to make a working virus. Release – Viral proteins are released from the cell by lysis, a process which kills the host cell. Fig 2 – Diagram showing the viral replication cycle. The surface molecules of viruses are continuously mutating and hence viruses like Influenza change each year. This mean that the flu vaccine for one year many not be sufficient to protect against the flu the next year and so new vaccine formulations must be derived for each flu season. Genetic recombination (the combining of gene segments from two different pathogens) is an efficient form of immune evasion. The influenza virus for example, contains gene segments that can recombine when two different viruses infect the same cell. In 2010, the H1N1 swine flu outbreak was a result of recombination between human and pig influenza viruses. Furthermore, viruses are especially good at evading the immune system through the production of immunosuppressive molecules that impair immune function. Whilst the HIV virus replicates in a similar manner to other viruses, it binds specifically to a CD4 molecule, one of two co-receptors (either CCR5 or CXCR4) and then the virus fuses with the cell. The virus also undergoes reverse transcription and single strands of viral RNA are converted into double-stranded DNA by the reverse transcriptase enzyme. The viral DNA is then combined with the cells own DNA by the integrase enzyme. Typically, there are flu like symptoms in the first one to 2 weeks following infection. This is later followed by seroconversion. After seroconversion, the amount of virus circulating in the blood drops and stays at a low level for several years. During this time, the levels of CD4+ cells, especially helper T cells, decline steadily, until at some point, the immune response is so weak that opportunistic disease and eventually death results. The CD4+ helper T cells which are compromised in HIV also play an important role in other in T cell immune responses and antibody responses, and thus both types of immune responses are eventually seriously compromised. Treatment for the disease is aimed at targeting virally encoded proteins that are essential for viral replication but are absent from normal human cells. By targeting the virus itself and sparing the cells, this approach has been successful in significantly prolonging the lives of HIV-positive individuals. 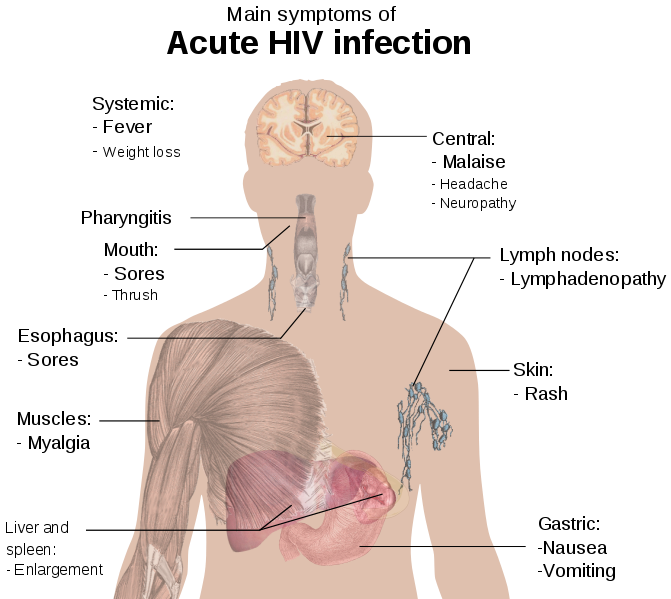 Fig 3 – Diagram summarising the symptoms of HIV infection.